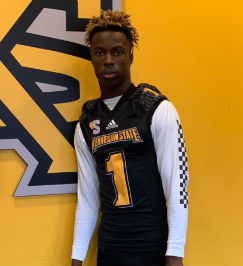 Kennesaw State Football has offered Mt. Zion High School Athlete Iaan Cousin (2019). He would be a slotback at KSU. Updated: Former UGA Player Enrolled at KSU and Working Out with the Team! QB Transfer 50/50 for KSU? Abdur-Rahim Makes First Offer…FROM GEORGIA! Where Did Coach Skinner Go Wrong, and What Is Next? Georgia All Classifications POY Has Committed To KSU!!! Preston To Return at Season’s End? Brian Bohannon Is the New Head Coach! He went wrong taking the job. Stole money for four years. Thank you! I've just made the changes. The KSU Owl Howl © 2019. All Rights Reserved.